The office of financial Aid Services has collaborated with Bank of America, IGrad and ECMC to deliver s financial literacy platform and default management to our students. Online financial literacy resources are available to SMC students such as budgeting, understanding credit score, saving, and financial planning. Feel free to explore each website to fit your personal needs. 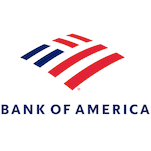 Bank of America established Better Money Habits in 2013 to provide free easy-to-understand resources for anyone interested in learning how to manage their money. They partnered with Khan Academy to provide students with how-to videos and educational materials on, taxes, credit, savings, and budgeting. Click here to access this amazing platform. IGrad is an online financial literacy program designed to help SMC students and alumni easily manage their money and student loans. Saint Mary’s College is committed to enhancing students’ financial literacy. With IGrad Saint Mary’s Students access lessons, blogs, video, articles, and web self-serve tools to manage federal and private loan debt, track credit cards, mortgages, and car loans. 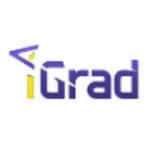 IGrad also provides payment calculators, as well as one-on-one loan debt counseling and advocacy. Members can use the site for jobs, internships, and scholarship searches, as well as information on building resumes and essays. The office of Financial Aid services at SMC is committed to promoting student success by helping students learn, graduate, obtain employment and demonstrate financial responsibility through the repayment of the funds they borrow to finance their education. 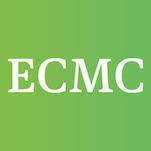 This default prevention and management plan is in partnership with Education Credit Management Corporation (ECMC). Click here to explore their website. Please fill out the form below to save your spot at the upcoming Better Money Habits talk. To preview the event, access the Better Money Habits webpage. 1st floor of Brother Jerome West Hall, room 108.